After spending the morning hiking around Hancock Pass, I headed down to Pitkin and then made my way over to US 50. 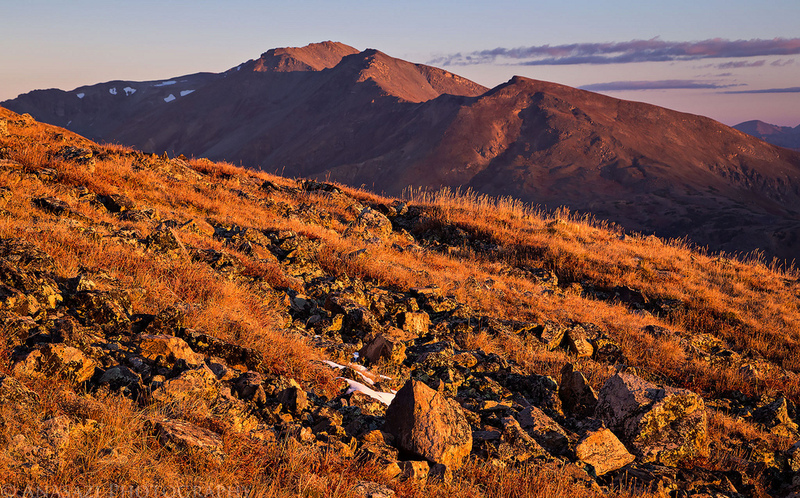 My original plans were to head off into the San Juan Mountains for a couple of days before returning home, but I decided to stick around the Sawatch Range for one more day so I could hike to the summit of Mount Shavano and Tabeguache Peak on Friday morning before the weekend crowds arrived. Since I had been hiking in the mountains all week and I was pretty well acclimated by this point, I figured this would be a great time to climb these two fourteeners. So instead of heading south into the Cochetopa Hills, I headed east over Monarch Pass. After going to bed early on Monday evening I actually slept very well overnight and was wide awake when my alarm went off at 3:30am so I could get an alpine start this morning. I had a quick breakfast and then drove a short distance to the Missouri Gulch Trailhead and was on the trail by 4:00am by the light of my headlamp. The stars above were bright and there was a sliver of the moon just barely visible through the canopy of trees above as I climbed the trail up Missouri Gulch. It was very humid out when I first started hiking but it got progressively colder the higher I climbed. I actually ended up putting my gloves on for a while when I got above treeline before the sun came up. To be honest, when I started this hike I wasn’t very sure if I was in good enough shape to make it to both Mount Belford and Mount Oxford since it would be a long hike with a lot of elevation gain, but I at least hoped I’d make it up to Mount Belford and then would decide what to do when I got up there based on the weather and how I was feeling. I left right after work on Friday afternoon to begin my annual week-long October trip. Typically, I spend the entire week on the Colorado Plateau in southern Utah or northern Arizona, but this year I decided to spend the first couple of days in the Rocky Mountains of Colorado to try and make up for my lack of climbing mountains over the summer and maybe photograph some of the leftover fall colors. I wanted to try and get one more 14er in this year and Mount Bierstadt (14,060) in the Front Range sounded like a good easy option to start with. After leaving work I made my way over to Dillon for dinner and then finished the drive on I-70 to Georgetown where I followed the road up to Guanella Pass. I found a spot to camp and pretty much fell right asleep so I could get an early start the following morning. After only hiking one new fourteener this year, I knew I had to get out this weekend to at least try to get another one or two in before snow started sticking around in the high country. 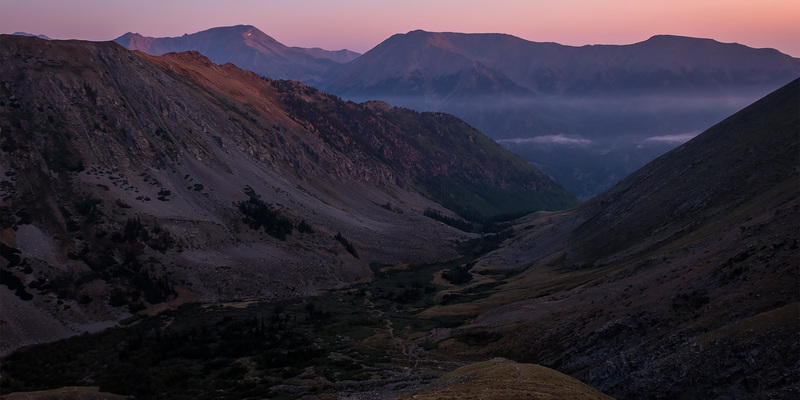 It’s been a couple of years since the last time I visited the Sawatch Range, so I thought it would be a good idea to head that way for a change. Then I figured that I might as well go for Mount Elbert (14,433), the highest peak in Colorado and the Rocky Mountains. 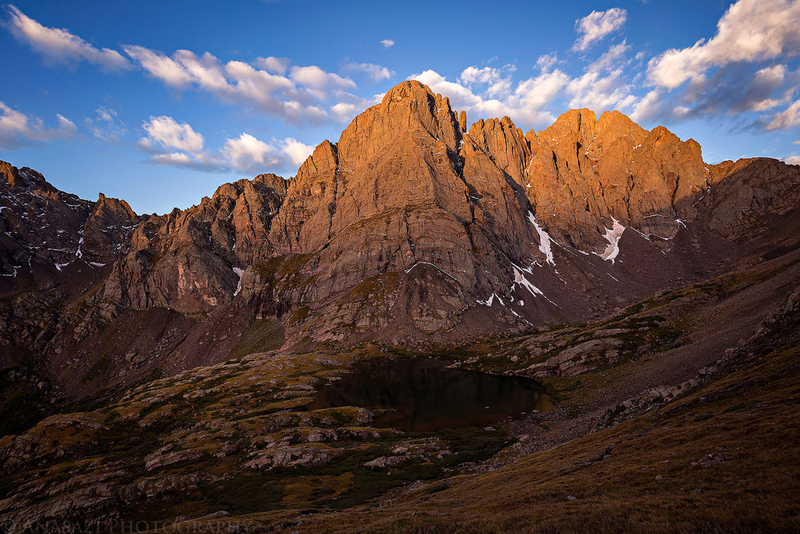 It’s second only to Mount Whitney (14,508) in the contiguous United States. Since Diane enjoys going backpacking with me, it’s been a few years since I went on a solo trip. But since she was busy this weekend, I thought it would be a good time to go on an overnight trip by myself. 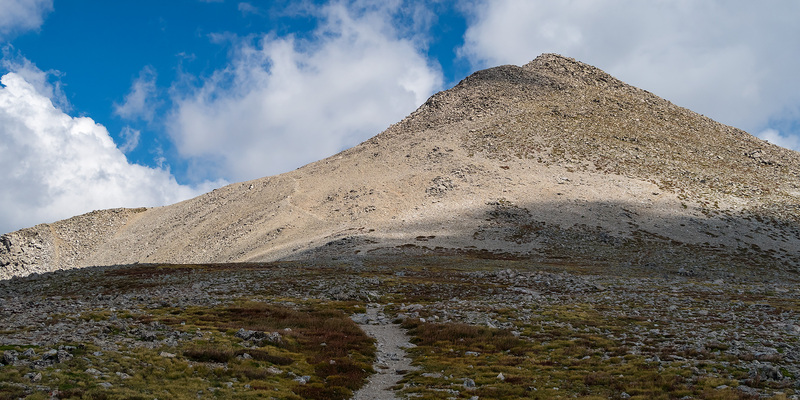 I have been wanting to climb my first new 14er of the year and one of my goals for the summer was to get over to the Sangre de Cristo Mountains, so I thought climbing Humboldt Peak (14,064) from the South Colony Lakes sounded like a perfect trip for the weekend. I’m a bit late getting started hiking new 14ers this year because of our traveling back to the Midwest during July and a few other planned trips during August, so I probably won’t get many new ones in this year. I do hope to at least attempt another one or two this year. 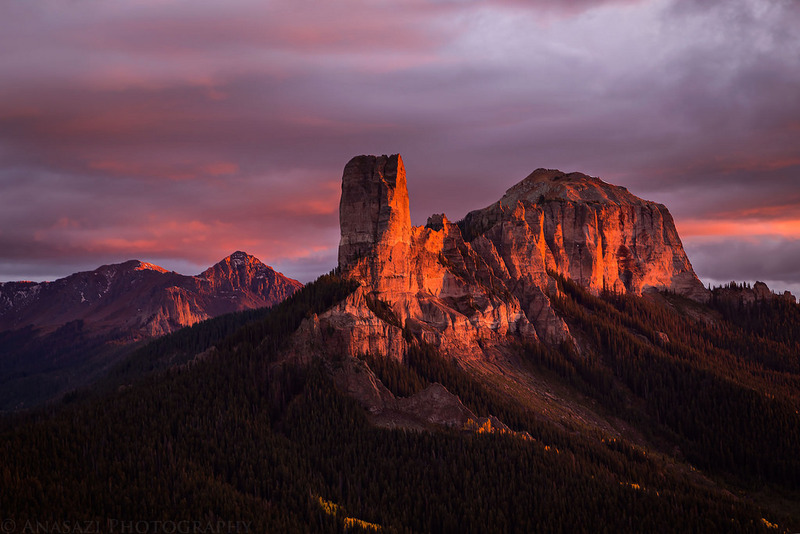 Though, I did enjoy the repeat of Uncompahgre Peak a few weeks ago.